What’s the Real Value of Your Car? One of the very first industries to get hit by the greed-driven effects of excessive “financialisation” was indeed the automotive industry. You now see financialisation in just about every market where there’s debt, credit and interest involved, but because of the “creative” manner in which vehicles are valued, the automotive industry continues to suffer from the effects of over-financialisation. I mean think about it. What sense does it make hearing that a brand new car you’ve just purchased loses value immediately as you sign the ownership papers and drive it off the display lot? It makes no sense, but it’s the reality we’re faced with. It’s however not a reality we have to keep accepting. Determining the real value of your car poses a lot of challenges because a degree of sentiment can very easily creep in. Other things come into play as well, like exactly what you use your car for and the associated value as a result thereof. If you have a delivery van for instance and you charge your delivery clients something like £30 per kilometre, you’ll naturally not be very happy with the “market-related” valuation a dealer puts on your car. It works pretty much the same if viewed the other way around, from the point of view of vehicle financers. Why are some of these financers willing to offer people car finance with poor credit? Surely it must mean they understand the real value of the vehicles they’re financing, especially if it’s used vehicles whose price is otherwise at the mercy of the principles of financialisation. Financialisation basically places too much emphasis on the process of buying and selling cars as opposed to dealing with the real value. A lot of the money you spend trading your car, whether you’re buying or selling, goes towards processes such as ensuring the salesperson gets their commission and covering the cost of the credit used to pay the car off. Now it would be extremely difficult to try and go against an entire industry standard of over-financialising the process of trading motor vehicles, but at least there is a way to determine the true value of your car. If your valuation reveals to you that you’re paying too much for the value the car returns, you can always trade it in for one which works out cheaper. 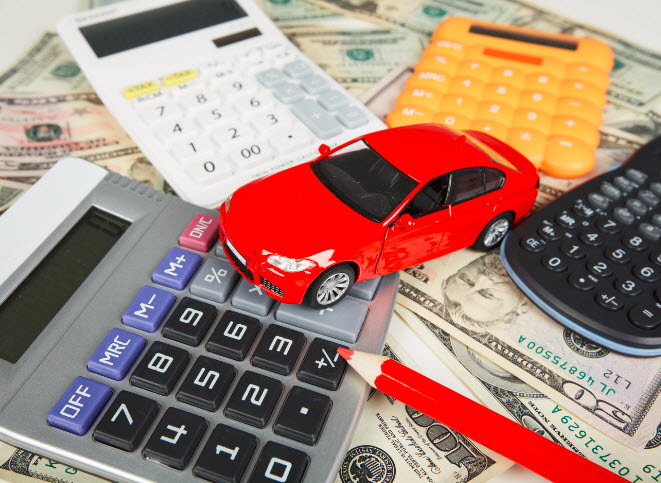 You might have to whip out your calculator or create a simple spreadsheet, but the factors to take into account include the car’s annual depreciation rate, the running costs (like fuel and service, tyres, insurance, etc. per kilometre) and how much money the use of the car actually brings in. For example, if you drive to work every day, the true value of your car would be worked out through a consideration of the costs of getting to work with and without the car. If you didn’t have a car and you perhaps used public transport, would you still be able to get to work on time (and earn your salary) and would you spend more or less on transport? Of course many other considerations come into play, but the point is the true value of your car should be determined by what you’re tangibly getting out of it, instead of what the market says it’s worth. Often just “downgrading” to one with a smaller engine and less fuel consumption per kilo can easily fix your numbers and ensure you’re getting more real value out of your motor vehicle.